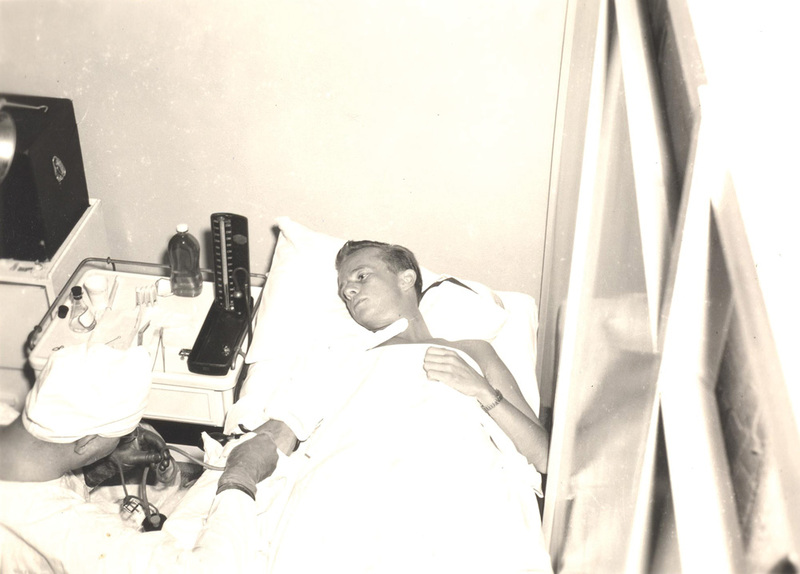 In this historic photo, dated July 1941, Walter H. Dillingham donates blood at the newly established Honolulu Blood Plasma Bank, located on the grounds of The Queen’s Hospital. Dillingham, R. A. Allen Watkins and his wife Lucille were Hawaii’s first three donors. Under the guidance of its founder, Dr. Forrest Joy Pinkerton, the blood bank operated on a small scale, processing plasma primarily, until Dec. 7, 1941. For one week after the initial attack on Pearl Harbor, 500 donors a day were processed; men and women waited in line for hours to do their part to contribute to this live-saving mission. Today, 75 years later, the Blood Bank of Hawaii needs approximately 200 donors a day to meet demand.